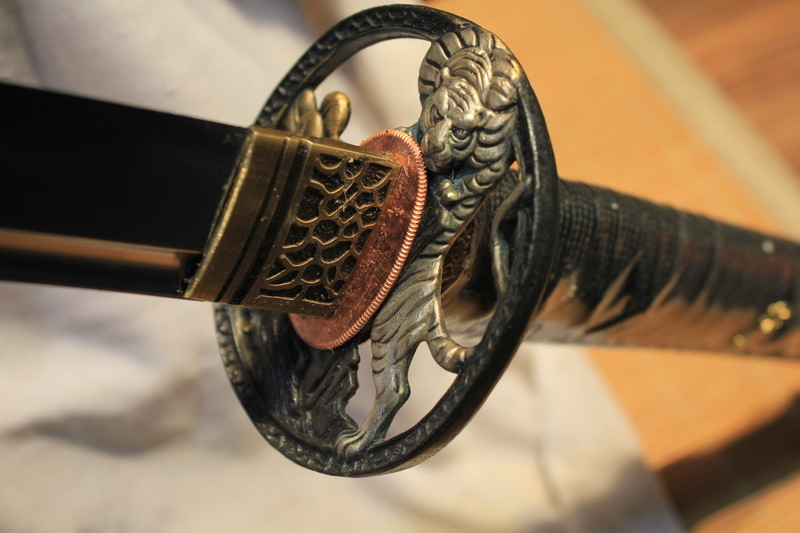 Samurai Swords are made of particular mixture of Iron, Carbon and some others added elements that will complete the alloy and give the final properties to the material used to by the sword smith. 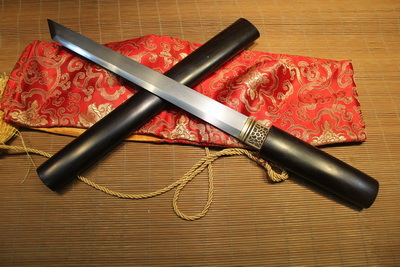 Each material has its particularities and the swords characteristics, which are mostly acquired during the forging processes, are ruled by these particularities. 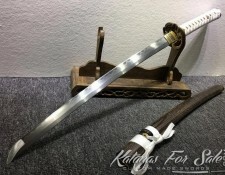 Actually, the desired sword type is in great part determined by the Steel material to use. 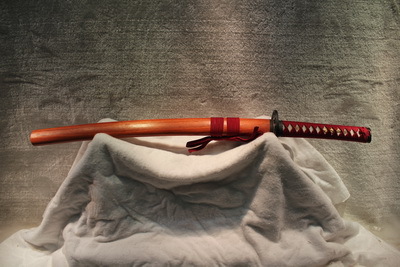 Besides the price, the pieces to mount, the Hamon type, the tang category and so much properties that the sword will carry depend on the Steel Type to forge. 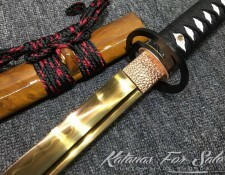 The Steel type itself can be determined up on the intended use of the Katana and the demander budget. 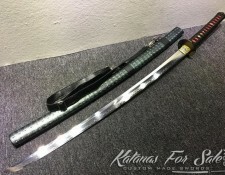 5160 Spring Steel Katanas are not exceptions: they inherit several properties from the 5160 Spring Steel from which they are made of and they acquire some other characteristics during the forging process and the finalizing operations. 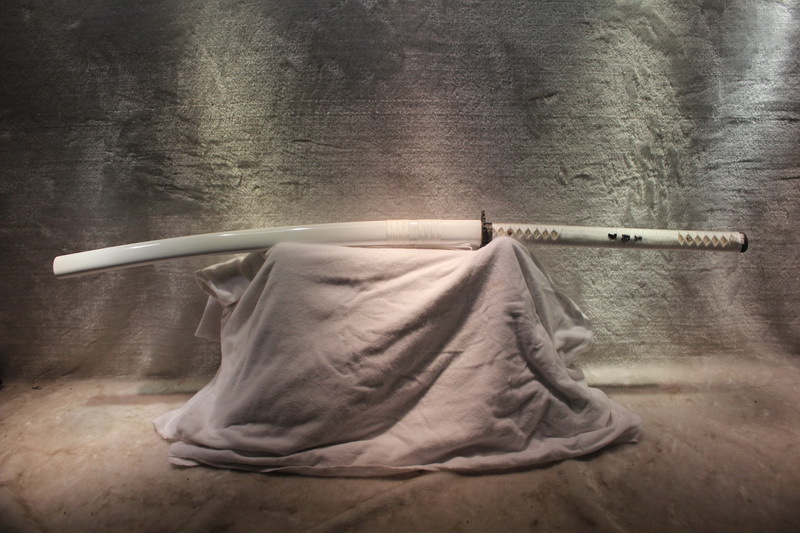 5160 Spring Steel contains basically %0.6 of Carbon; that gives it the major characteristics of 1060 Carbon Steel. 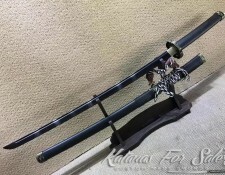 It is an alloy of Chromium with a small percentage of Silicon. Actually, Chromium is present at %0.7 and Silicon at %0.2. 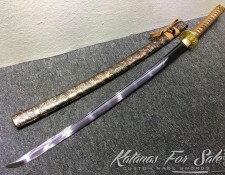 The Chromium percentage is not enough to make the Spring Steel stainless, but it is enough to make the 5160 more resistant and more durable than the 1060 Carbon steel. 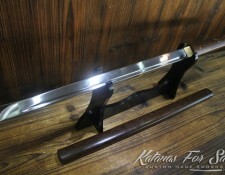 This Spring Steel type is very tough and commonly used to make very solid parts of machinery. It is characterized by a very high tensile strength. 5160 Spring Steel has the property of keeping the edge’s shapes as they are for long time even if they are exposed to great corrosive and abrasive efforts. 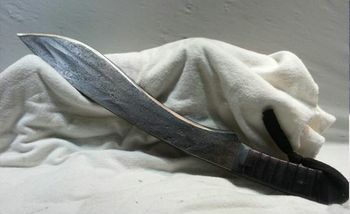 The Carbon tenor within this Chromium alloy should make the heat treatment a delicate process. Actually, heat treatment does not influence so much the chemical composition but it influences and modifies the physical properties. Thus, the final properties acquired by the 5160 Spring Steel are function of the applied heat treatment. This Heat treatment resistance is the result of the several elements that form the alloy. 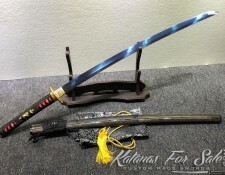 5160 Spring Steel is appreciated for making Swords. 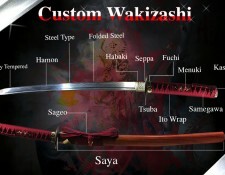 Actually, many swords makers and smiths prefer that material though it is hard to forge. 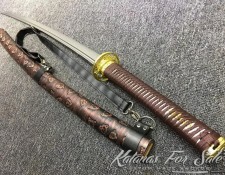 5160 Spring Steel Katanas are real pieces of arts. 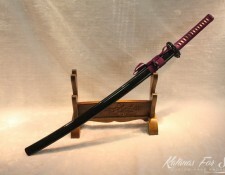 The little amount of Silicone that contains the 5160 Spring Steel is enough to allow the production of very tough Swords. 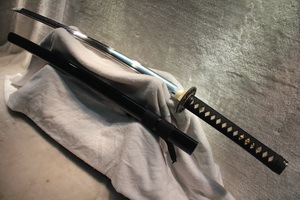 The hardness of the 5160 Spring Steel Katana can be increased by properly heating and quenching the blade in oil. This operation has to be conducted by professional especially when it is done on the traditional way. 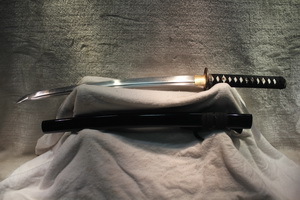 The Edge is really very sharp and can keep its sharpness for long time even after repetitive and tough sessions of cutting and exposure to relatively hard material. 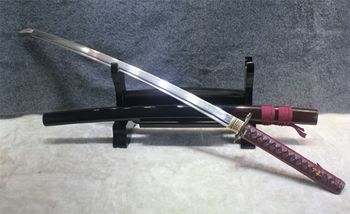 Due to the extreme resistance to shocks, the edge does not need to be hardened and 5160 Spring Steel Katanas are usually mono steel swords. 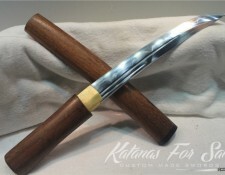 If there is a need to distinguish a particular Hamon, the sword smith can use some other Steel Type to fold with the initial material and create the desired Hamon aspect. 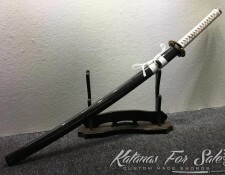 The pieces to mount on the blade to form the final 5160 Spring Steel Katanas are to choose carefully; they need to be resistant to shocks and can support a blade with excellent tensile–yield, shock absorption and with excellent hardness. 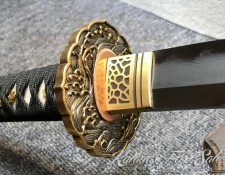 The resistance of the blade to metal fatigue implicates that the pieces to mount have to be made of durable and well designed material. 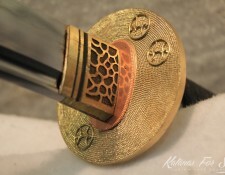 Mainly, Tsuba and Tsuka have to be very resistant and can overcome frequent hard shocks resulting from cut sessions. 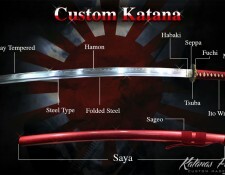 The blade is preferably to be Full Tang to counter balance the high tensile strength of the blade. 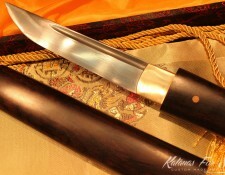 Clay tempering process and quenching sessions has no major effects on the creation of the famous curve of the blade. 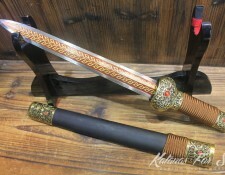 Due to the extreme hardness of the Spring Steel and the difficulty to recover any mistake while forging, it is better to define the curve before proceeding to hardening the blade and before Clay tempering it. 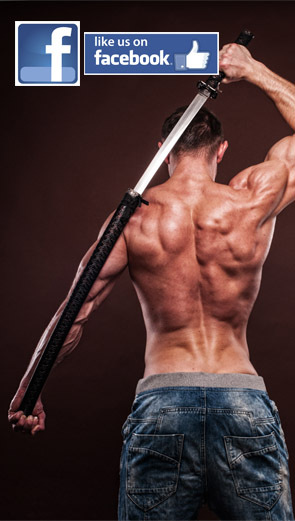 Differential hardening does increase the durability of the edge and keeps the spine softer. number of tempering repetition to obtain the maximum of hardness. 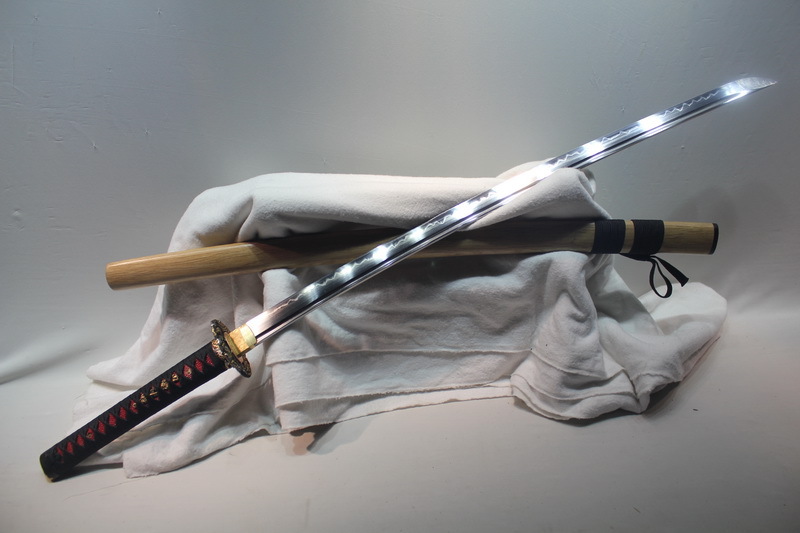 5160 Spring Steel Katana has greater shock absorption and therefore a more important metal fatigue resistance. 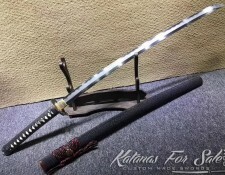 The properties that gives the chromium element to 5160 Spring Steel Katana are particular compared to 1060 Carbon Steel Katana. 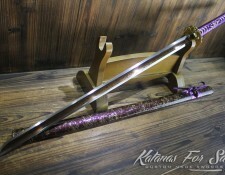 Both are hard to forge, they are characterized by an important durability and they come with high prices. 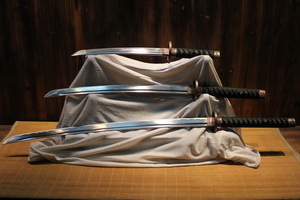 The Chromium alloy in 5160 Spring Steel Katanas gives the swords more resistance to corrosion and more hardness which result in a more difficulties to forge, polish and sharpen. 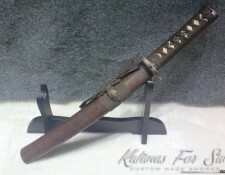 1060 are more suited for decorative purposes and the 5160 Spring Steel Katanas are preferred for functional purposes. 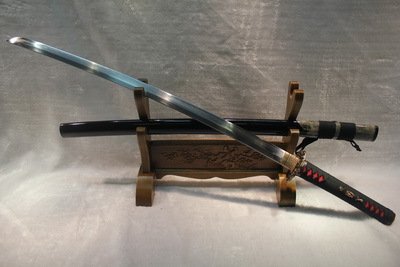 It is common to find 5160 Spring Steel Katanas with straight Hamon, while 1060 Carbon Steel can exhibit Choji or wave Hamon. 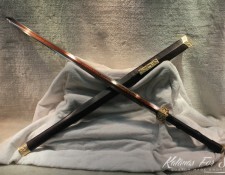 This is due to the fact that 5160 Spring Steel Katanas are usually mono steel and 1060 Carbon Steel can carry Folded Steel.